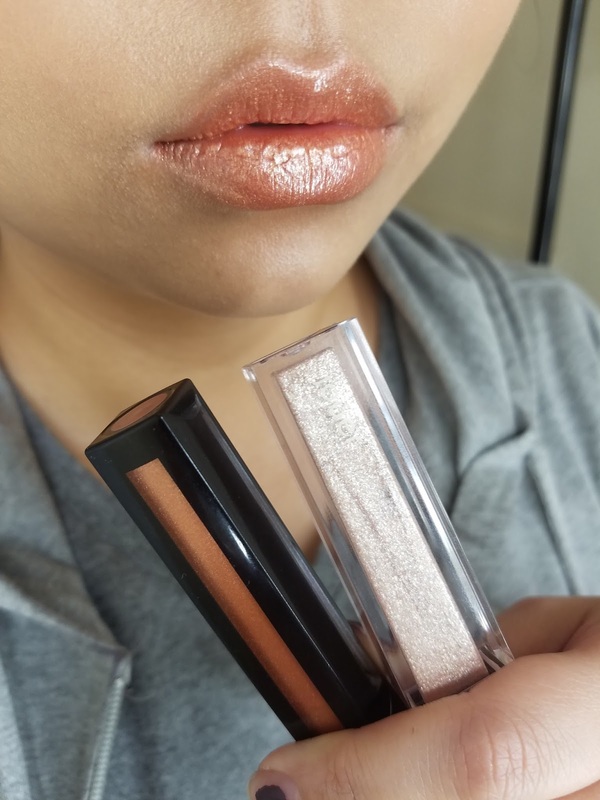 I have been eyeing these shimmering lip toppers for a while but never took the chance and actually pulled the trigger, so I was stoked to see it in my Beautylish Lucky Bag this year (2018). I'm not sure why I have been so hesitant to try these because they seem to have glowing reviews from everyone on social media. The Jouer Lip Topper in St. Tropez retails for $16.00 USD and is available at Beautylish, Jouer and other retailers. This lip product is simply packaged in a sleek rectangular plastic tube with a plastic edge that can be connected to another Jouer lip product. This tube is compact, light, and chic. I always appreciate a clear package, so you can see the shade inside. The Jouer Lip Toppers currently come in 7 different shades (and counting) and are meant to be a long-wearing shimmering top coat for your favorite lip colors. St. Tropez is a beautiful champagne shimmer with multi-dimensional rainbow shimmers throughout. It has a lovely sweet smell of vanilla cake. This product has a beautiful finish and texture. It has a glossy finish but feels very smooth and silky with a touch of oiliness from the coconut oil infused in it. This confuses me a little because this product is intended to be long-wearing but it contains a very emollient oil that is often used to remove makeup. You can feel the oil in this product but it isn't overly greasy, it just adds a little slip your your lips. These are intended to be used over long-wearing matte liquid lip colors, like their Lip Cremes, and are meant to stay long longer than a standard lip gloss. However, with the coconut oil used in this product, it seems to reduce wear-time of matte lip colors by breaking down the formula. I would say this lip topper has the equivalent or less of the wear-time to a standard gloss. While it doesn't last as long as I expect it to, I do like the formula and the feeling on my lips. It smooths and hydrates my lips for quite a long time. I gives the appearance of plump and soft lips. 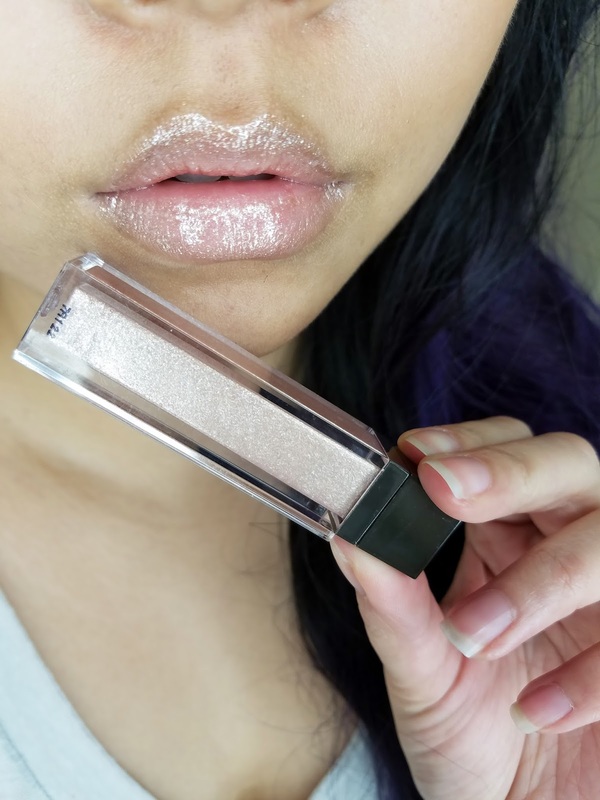 The glitters while very strong in the tube, look much more natural on the lips and give the lips a very pretty glow. I think the formula is very innovative and seems to be a hybrid between a lip oil and a gloss, providing the best of both worlds. I still can't see why these lip toppers have so much hype because the lasting power is disappointing. This lip topper seems to turn my long-wearing matte liquid lipsticks into just regular lipsticks with a gloss on top. Frankly, I don't see the difference between this and a standard gloss, except that this product just seems more hydrating than a gloss. I have also come across a problem with the glitters. While I don't feel them on my lips, the particles are quite large and throughout the day, they migrate to the edges and corners of my lips, making them look flaky and textured. This is because the gloss has worn off and the glitters have moved and clumped up on the edges of my lips, it's very unflattering! The redeeming factor is that it actually looks amazing over metallic lip colors! I had stumbled upon a repost (on Jouer's IG) of someone who had used a lip topper over a metallic lip color and I was stunned. I had to test it for myself and I have to admit, I'm kind of in love with this look. 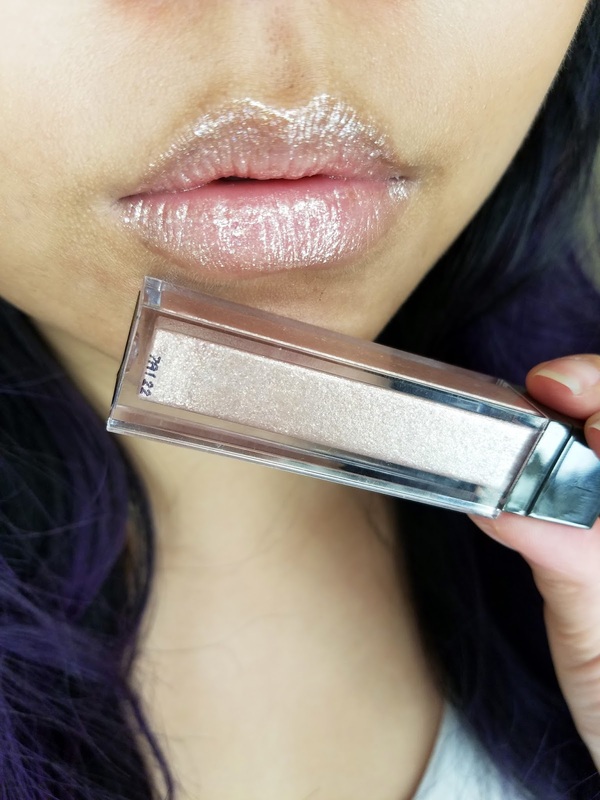 It is a bit more over-the-top than I'm used to but the lip topper over the metallic lip color gives the most luminous and reflective texture, almost like shining glass or crystal! It is so insanely gorgeous! 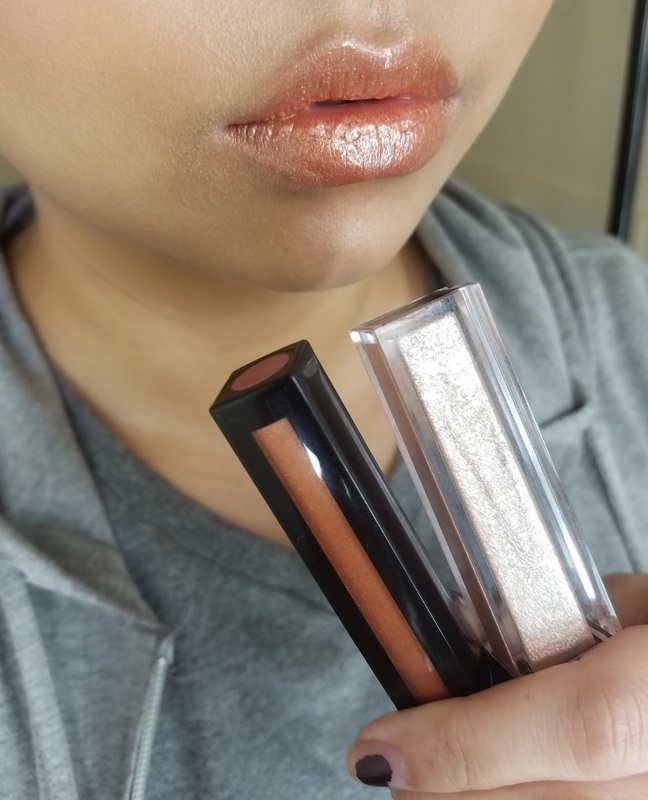 The lip color below is using Rouge Dior Liquid in 334 Vibrant Metal, a metallic rose gold (check out my full review on these here) with the St, Tropez lip topper on top. Overall, this is a nice product but doesn't make sense as a long-wearing lip topper. The coconut oil breaks down long-wearing lip colors, defeating the purpose of a "long-wear" aspect. It does provide hydration but I don't find regular glosses to be drying and glosses have ingredients that last longer on the lips. I don't hate this product but I just don't think it lives up to its hype or its claims of being long-wearing. I feel I would like this product more in a different shade because the other shades seem to have more fine glitters. While I enjoy this product and shade, I don't see myself buying another shade any time soon. 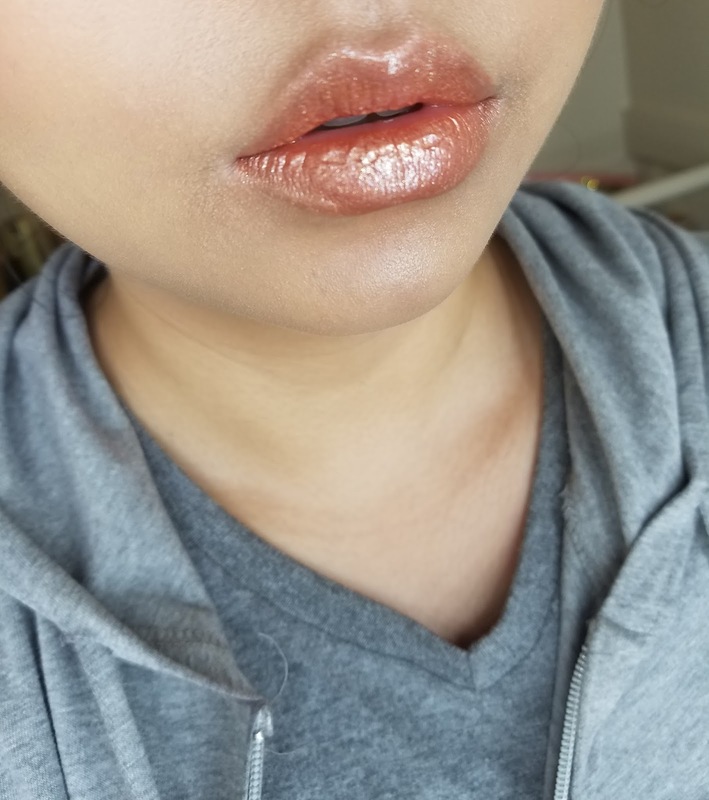 These lip toppers seem to work better alone than they do as a topper, even then, the glitter clumps up on the edges and corners of the lips throughout the day and making my lips look very unappealing. Again, I'd like to reiterate that I really do like this product but not so much this shade because of the larger particles of glitter. I am willing to give this product another shot with a different shade. Let me know your thoughts! Do you like these? How do you use them?